We are delighted to add the Circles APP® to our library. 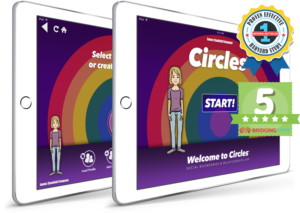 The Circles App™ is an innovative way to teach children that the degree of closeness they have with other people and how they touch them, depends on the kind of relationship they have with them. Simply stated, “It’s OK to hug your Mother; it’s not OK to hug the mail carrier”. The Circles App™ is designed to make such distinctions crystal clear while allowing you to customize them to your unique situation. Perhaps in your family, the mail carrier is your mother! Please visit www.stanfield.com for easy download.